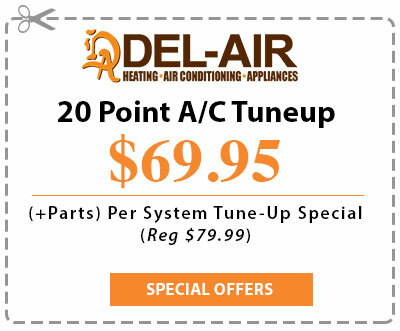 Since 1983, We here at Del-Air have existed to serve your HVAC needs and exceed your expectations. As a 100% employee-owned company, we strive to make the lives of both our customers and our team members happier. Without incredible customers like you, we would not be able to stay in business, let alone be awarded such honors. We are the premier provider of HVAC services in Central Florida and want to thank our loyal customers for helping us to achieve the awards below. Each one of these awards has been granted to us thanks to you.